On St. Patrick’s Day in 2006, the police in Nanuet, New York assumed that the high volume of calls reporting UFOs was just the result of too much partying on this festive day. In all fairness to the police, with the amount of green beer and other alcohol consumed every March 17, it wasn’t an entirely unreasonable assumption. However, this sighting involved numerous sober witnesses, and there is also a curious history of mass sightings on St. Patrick’s Day in the Hudson Valley of New York stretching back 35 years. Has our government been scheduling test flights of exotic aircraft on March 17, realizing that eyewitness reports will be deemed unreliable? 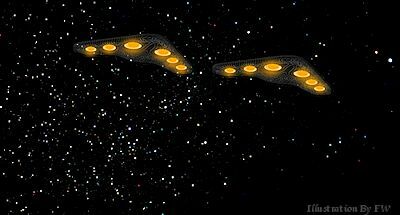 Perhaps there are clever ETs who are aware of the holiday—and human drinking habits—and therefore decide that it is the perfect day for some low-level reconnaissance? Or, is it merely an odd coincidence?